One Nigerian advanced on Saturday to the next round of his event in the table tennis competition of the Rio Olympic Games, while two others dropped to the sidelines. 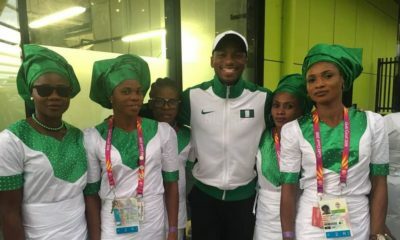 While Segun Toriola advanced to the second round in the male singles, Funke Oshonaike and Edem Offiong could only go beyond the preliminary round of the women’s singles. 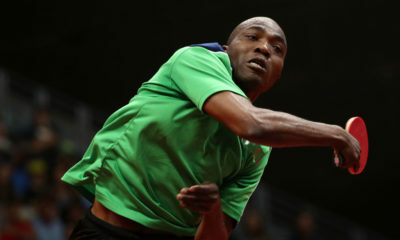 Toriola, who is making a record appearance in the competition, beat Dmitrij Prokopcov of the Czech Republic 4-2 in the Men’s Singles Round One. In his game on Pavilion 3 at RioCentro, the Nigerian lost 8-11 in the first set, before levelling the tie at 1-1 with an 11-6 win. He took the next set 11-8, only to lose 9-11 for the tie to stay balanced at 2-2, before he won the next two sets 11-8, 11-8 to advance to the next round. The round 2 match is on Sunday at 9am. Oshonaike on the other hand, crashed out in the Women’s Singles Round 1 after losing 2-4 to 15-year-old Adriana Diaz of Puerto Rico. She lost 7-11 in the opening set, before winning 11-7, 11-4 to lead 2-1, only to lose the next three sets 11-7, 11-5, 11-2. Earlier, in the Women’s Singles Preliminary Round, Oshonaike had beaten Mariana Sahakian of Lebanon 4-3 to advance from a topsy-turvy game. After losing the first set 8-11, she won the next three games 11-9, 11-7, 11-8 to make the game look easy and all over. But her Lebanese opponent rallied back to win 11-8, 11-9 to draw level at 3-3, before Oshonaike won the tie with an 11-8 victory in the seventh game to advance. On her part, Offiong lost 1-4 to Viktoria Pavlovich of Belarus, after winning the first game 11-5. 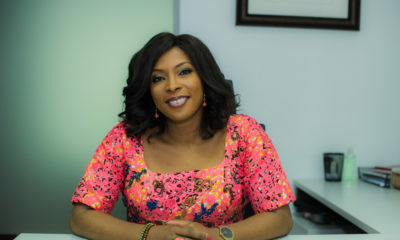 She lost 11-8, 11-8, 11-7, 11-4 to join Oshonaike on the sidelines. Much more earlier at the competition, Offiong had looked tough by beating Sally Yee of Fiji 4-0, winning 11-3, 11-8, 11-3, 11-2. Dude kuku hustle for urself bcos naija no care for you i swear….. He has crashed out already……. Naija I hail thee.